Bott UK is part of the widely renowned Bott Group, first set up in 1930, and specialising in the designing, manufacturing and installation of workshop equipment, workplace systems and in-vehicle equipment. Bott UK was established in 1980 with two sites in England and a satellite conversion centre in Cumbernauld, Scotland. Bott’s one-stop-shop Vehicle Conversion HQ is based in Ashby de la Zouch, Leicestershire, headed by Managing Director Kevin Woodward, who celebrated 35 years in the business this year. Facilities cover everything from racking to electrical development, specialist requirements, graphics and decals, assembly and fitting, electrical development, Line-X protective coating and even legal and compliance work. If that wasn’t extensive enough, Bott UK can also provide assistance with vehicle choice, vehicle handover, driver training and in-life vehicle inspections. Over the past year, Bott have been focusing on developing their electrical engineering capabilities, implementing CAD software, enabling simulation & 3D modelling and offering standardised electrical installations through the introduction of preconfigured wiring looms. 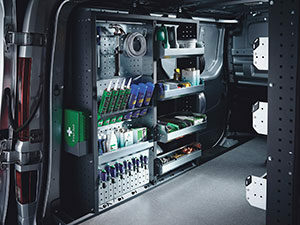 All vans are now built to the same high standard, boasting improved durability, easier fault finding and quicker repairs. Committed to providing an outstanding service to clients, Bott go to great lengths to ensure that no matter the application, each client is getting the most out of their vehicles. 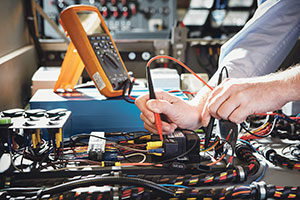 For this reason, they have implemented proactive testing procedures of individual components and customer free-issue equipment to gauge how this equipment is used, and hence enabling Bott to offer the best tailored solutions. As FTA Van Excellence Gold Partners, a clear focus on vehicle safety and legal compliance also comes as standard. 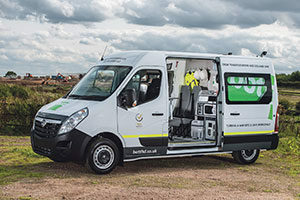 Furthermore, Bott recently launched a new Crew Welfare and Transportation Vehicle specification, which includes a new and improved internal design that allows for up to 8 crew to be compliantly transported, while also covering their on-site welfare needs. As one of the UK’s leading conversion companies, Bott can be found at numerous trade shows throughout the year. This includes the Commercial Vehicle Show, Fleet Management Live, the Utility Fleet Forum, FM18 & the Housing Show, all of whom Bott are planning to attend again in 2018. If you would like to get in contact and find out how their many specialist services can benefit you, then don’t hesitate to pick up the phone today. More information can also be found by visiting the website below. This entry was posted in Company of the Month, Featured and tagged Manufacturing, Vehicle. Bookmark the permalink.